This can be a case of a great idea executed at the wrong time, at a wrong place. 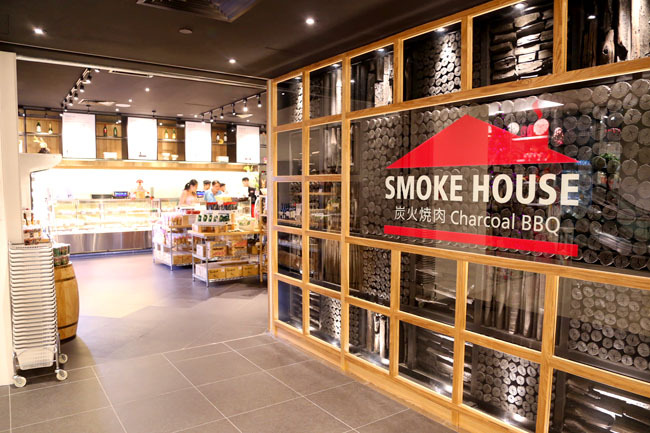 Japanese BBQ restaurant Smoke House has a self-service BBQ concept with meats bought from a mini-supermarket. This replaces Cz’Zar at the corner unit at Great World City, both owned by the same people behind Ichiban Boshi and Kuriya. 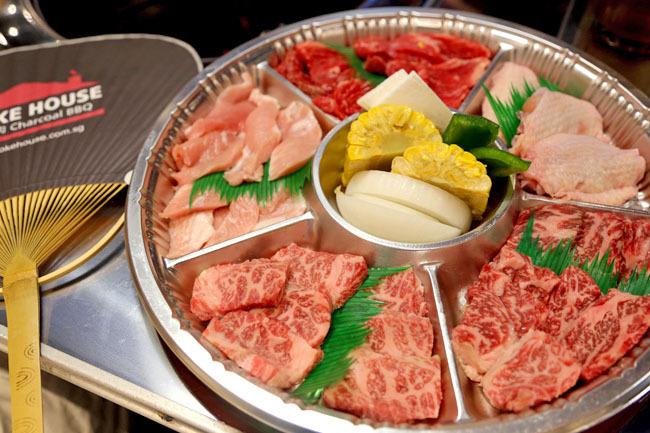 While the two restaurants are known for their Japanese cuisine, Smoke House seems more likely to fall flat. 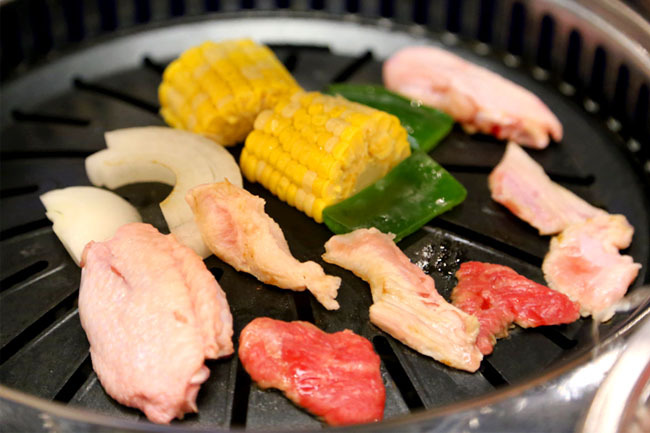 The idea of Smoke House is novel on paper: Pick your meats, drinks and dessert from a supermarket section; pay a cover charge of $10 ($8 for lunch) for free flow of salad, soups and rice; and have a DIY BBQ at the table. Sounds like great fun. The self service probably helps the restaurant in terms of cutting man-power in light of labour shortage. Practically, I cannot imagine this taking off yet, admist the confusion. 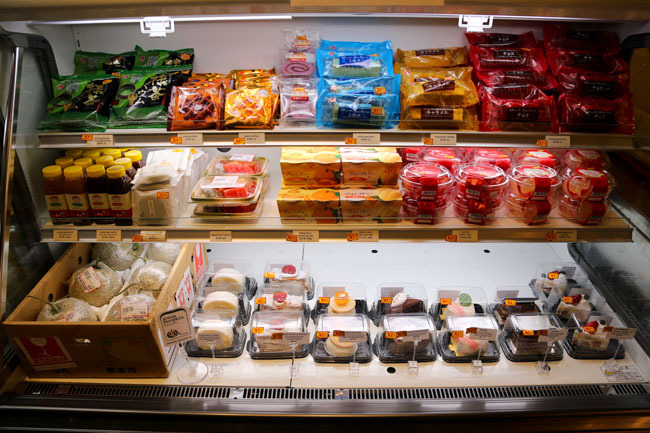 The display meat on the shelves, while cheaper in price than in most restaurants, did not look all too fresh. Neither did it whet appetite as most cuts looked paler in colour, left in the freezer for possibly a long time, in pre-packed plastic boxes like sushi. You can imagine about the cakes. 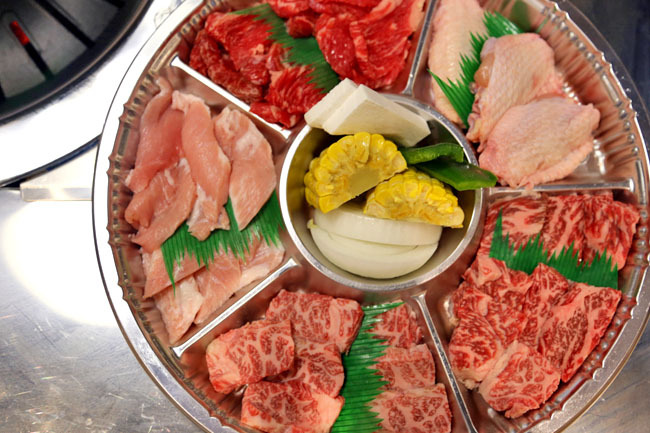 I settled for more value-for-money plate with 6 types of meat (Japan Wagyu Karubi, Australian Short Ribs, US Kurobuta Powl Jowl, Chicken Wings and ‘Today’s Beef) at $48, along with some corn, capsicum and onions. 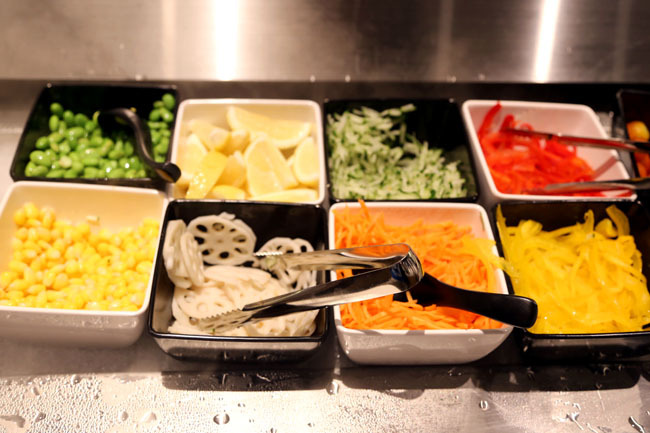 While the $10 cover charge allowed access to the salad bar, the variety and colours of the selection made Sakura feel like a Michelin star restaurant. The garlic rice, cooked in mass quantity, was dry and unappealing. 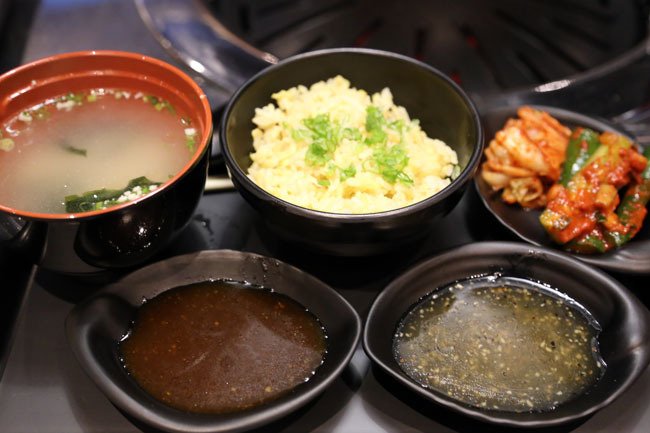 The best things at Smoke House were the two sauces available – BBQ and shio dips created by the chefs at Kuriya, which helped save some of the less appetising and tougher meats. 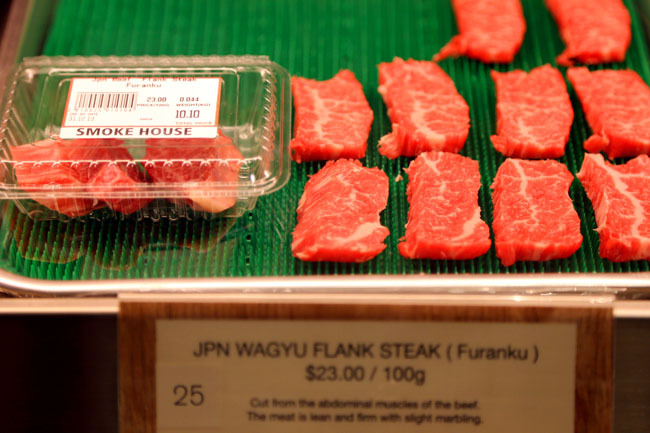 The wagyu, fortunately, was still smooth and fatty. Even though I ordered only one tray, there was some difficulty in trying to create space on the table. Service was competent and friendly though. You know they are trying hard to introduce and get customers in. There were some considerate touches like a washing sink, disposable apron and Febreze to mask the odour on clothes. 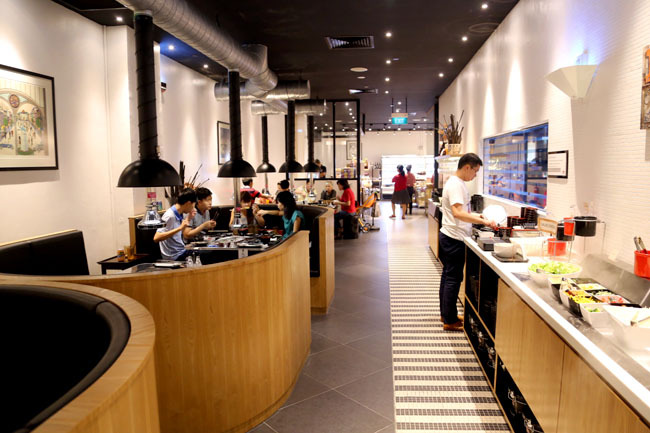 Sorry to good fellows from the Smoke House and Ichiban Boshi, my gut feel tells me this concept, while unusual and cut loads of labour cost, is not going to last. May be it won’t be before long I see Smoke House turn into another buffet restaurant. #01-37 Great World City, 1 Kim Seng Promenade, Singapore 237994. Tel:+65 62352185. I hope so too, because the quality of the food I had wasn’t really that good.